Euthanasia Prevention Coalition Euthanasia Prevention Coalition: Canadian media promote euthanasia lobby petition. Most lobby groups are required to buy advertising when promoting their political lobbying campaigns, but several Canadian media outlets appear to be "partnering" with the euthanasia lobby by promoting campaigns to expand euthanasia in Canada. 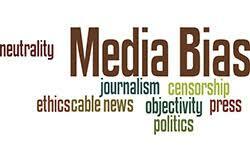 Several of Canada's major media have even included links to the online euthanasia lobby petition to extend euthanasia to people who are incompetent but previously requested assisted death. (Link 1) (Link 2). Recently Prime Minister Trudeau appointed David Lametti as Canada's Justice Minister. Lametti is radically pro-euthanasia and voted against Bill C-14, the bill that legalized euthanasia in June 2016, because he thought that the law was too restrictive and unconstitutional. (Link). The euthanasia lobby is petitioning Lametti to pass Audrey's amendment to expand euthanasia to incompetent people who made a previous request. Audrey Parker died on November 1, 2018, as part of a campaign to expand euthanasia in Canada. Parker argued that she died prematurely because if she became incompetent, she would not qualify for euthanasia. The same media are also participating in the campaign to pressure St. Martha's hospital to participate in euthanasia. The euthanasia lobby wants to force religiously affiliated medical institutions to participate in euthanasia. This recent campaign may be the perfect storm. The media is promoting the euthanasia lobby campaign and the new Justice Minister, David Lametti, supports the expansion of euthanasia. Contact your member of parliament and tell them that you oppose euthanasia. (Link). The CBC seems to be actively serving the pro-euthanasia lobby. They have published article after article on their news website in support of expanded access to MAiD. Their articles have treated conscientious objection by health care personnel as some kind of affront to human rights. In no CBC article have I seen any attempt at an impartial critical analysis of MAiD. I have written to CBC representatives about this on several occasions now, going back to last spring, and have received no meaningful response - except that they recently disabled a critical comment that I had posted. They now extend the suppression of dissent beyond the content of their articles, muzzling public comment. The mask is off.